With this InDesign flyer template you will get all Illustrator vector files. Yes, it's awesome! 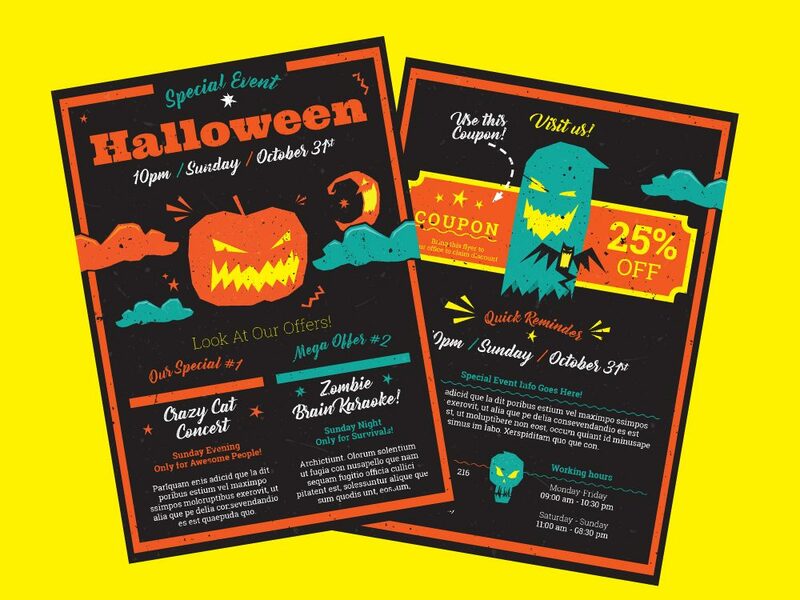 It is this time of the year when Halloween is approaching and your business needs some promo material to highlight events that will be held for this occasion. 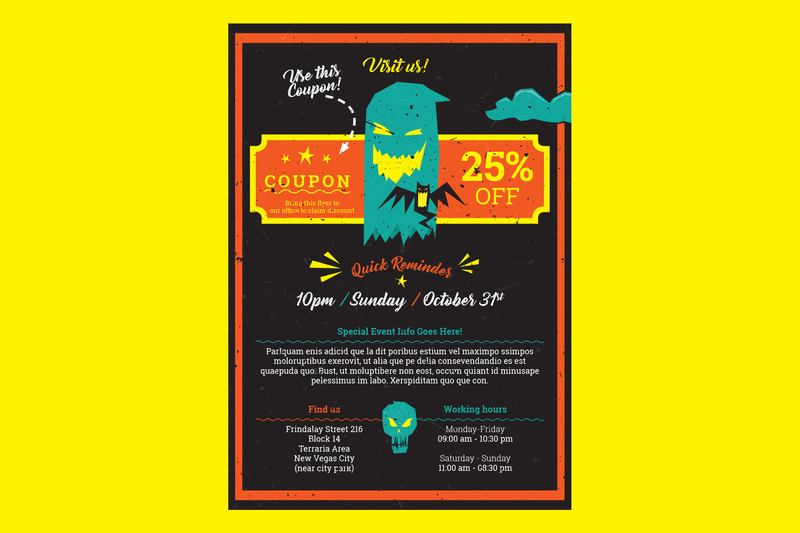 This is where we are stepping in with brand new Halloween A5 Flyer Template. It is scary (well, more cute), cartoonish, colorful and festive. On top of all this visual points, it is really easy to edit and customize according to your own taste and needs. We also included subtle ‘dirt’ texture that overlays whole page. To change or disable this texture you will have first to unlock layer Texture and then edit or replace with some other image you prefer. When we are talking about editing, all other elements: text, Paragraph styles and Color swatches are easy to change. Paragraph styles are nicely organized and they follow structure of pages. Few text elements are created on ecliptic path and as regular text, just use Text tool to edit placeholder text. For colors, we named two color swatches Color #1 and Color #2 and it’s up to you what colors will replace them. 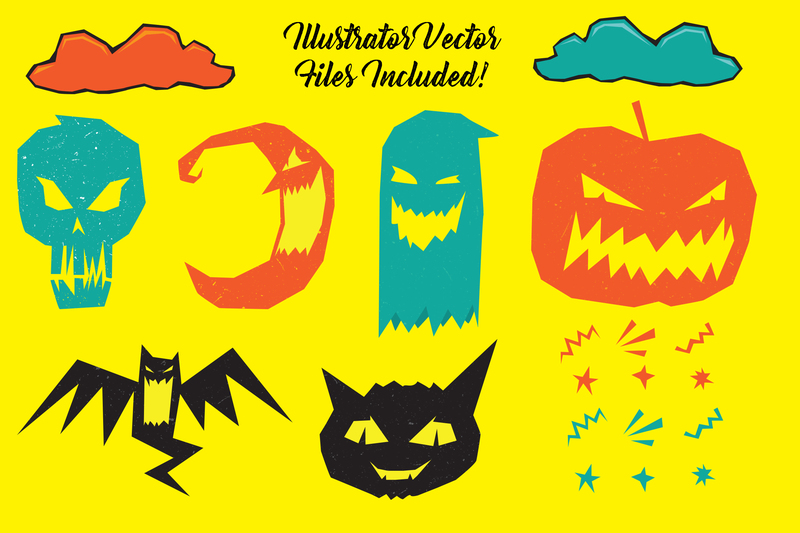 After values in those color swatches are changed Halloween A5 Flyer Template will update whole file and results will be immediately visible. Of course, for illustrations they, will need additional editing to match your swatches. This InDesign template use free fonts. We added download links in Read me file that comes within package after purchase. Before opening template, first download and install fonts. Later you can replace them with fonts you prefer more, just edit Paragraph styles and you are good to go. For festive atmosphere in flyer we used Bernadette Rough font which is free to use for personal use, so it would be great for you to check font page about commercial use. 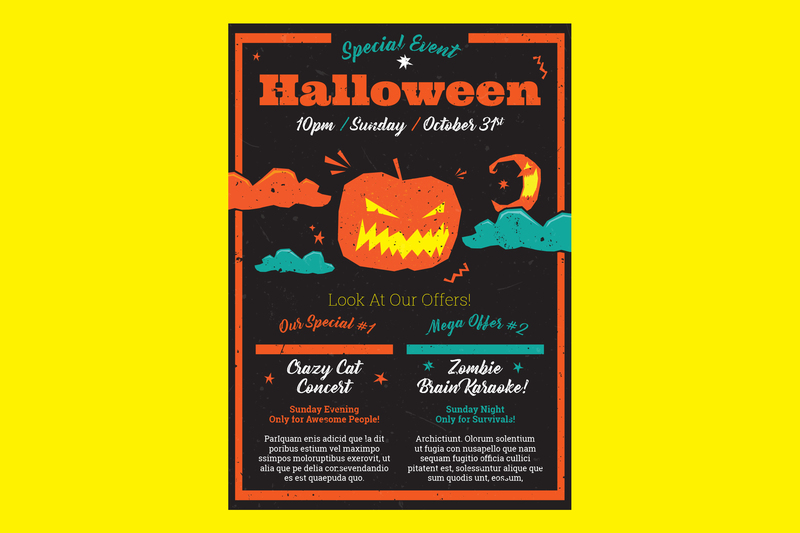 We hope this template will help you to animate your audience and customers for upcoming Halloween.